With nearly 20 years of experience in the helping professions, Arika is a success-driven internationally credentialed professional coach and motivational speaker. Arika has been able to translate her passion of working with people who feel stuck in their life, into a successful practice where she is able to help individuals regain control of their lives and begin to live intentionally. In doing so, her clients gain an appreciation of and for self-care, become more successful in their lives, and have more fulfilling relationships. As a mentor, a coach and an educator, Arika has extensive experience working with adults in diverse populations. She does so by not only empowering people but by effecting change in their lives. Arika holds a Master’s degree in Adult Education from the University of Illinois, Springfield campus, she is a Certified Professional Coach, an Energy Leadership Index Master Practitioner, and a certified administrator of the Emotional Intelligence Scale. In addition to her role as a coach, Arika holds national credentials as an American Sign Language (ASL) interpreter and serves as an adjunct instructor at Moraine Valley Community College. As a strong entrepreneur, Arika is the President and founder of ASL Communications Inc., serving a multi-state area proving coaching, interpreting, and educational services for thousands of individuals each year. Understanding that it takes a village as well as the need for community involvement and engagement, in her spare time Arika generously gives of herself by her active participation on multiple Boards. 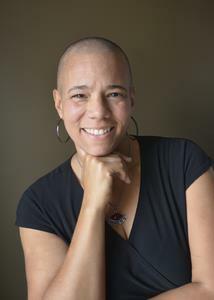 Currently, Arika is the President-Elect of the International Coach Federation, Chicago Chapter and Secretary on the Board of a Not-for-Profit organization committed to providing medical and mental health services for underserved individuals in some of the most disparate areas of Chicago. Currently living in Chicago, Arika was born and raised in St. Louis, Missouri, where she developed one of her greatest passions, the pursuit of travel. Arika has traveled the United States extensively, visited 25 countries, and even lived in Japan where she developed curriculum and taught English as a Second Language for prominent local business programs. The experiences she gained during her times inland and abroad have shaped her global perspectives, providing her a valuable insight into her very diverse clientele. For all of these reasons, and more, Arika is a highly sought-after educator, coach, and influencer who has what it takes to help her clients see change.